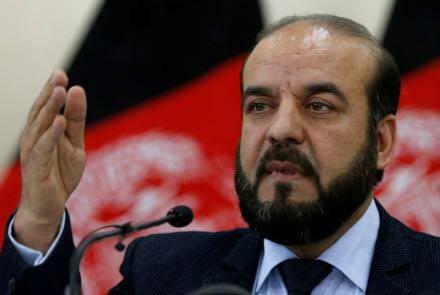 IEC Chief Abdulbadi Sayyad, in response to the IECC’s decision to invalidate the votes cast in Kabul’s parliamentary elections, says the decision has been made without any consultation with the Independent Election Commission. The IEC chief, while addressing a press conference expressed the decision to invalidate Kabul votes is a “dishonor” to people’s will who cast their vote in the parliamentary elections despite challenges. He claimed that the IECC just came to a conclusion in this matter based on flimsy “Facebook reports”. He also added that the IEC is the only source of decision-making in the matter of elections and that the vote counting process is still ongoing. He said the commission will announce preliminary results of other provinces next week. It was announced earlier this week that results for Kabul will be declared by end of next week, but with the recent IECC decision, things are unsure now. IEC in the controversy has since issued a declaration on the electoral complaints commission’s decision to invalidate Kabul votes, which declaration states that decision on Kabul votes is ‘illegal’ and aimed at damaging the electoral process. IEC declaration says the Independent Election Commission rejects the decision of Electoral Complaints Commission on invalidating Kabul votes. On Thursday morning, IECC’s Rohani declared that the commission has decided to declare the votes of Kabul’s parliamentary elections, invalid. Later in the day, it was also announced by IECC that several officials of IEC and provincial offices of IEC were dismissed as they had, according to IECC’s findings, ‘violated electoral laws”. In response to the matter of dismissals, an IEC official remarked that the electoral complaints commission cannot suspend IEC employees in such a way.